Greene, New York, population 1,580. 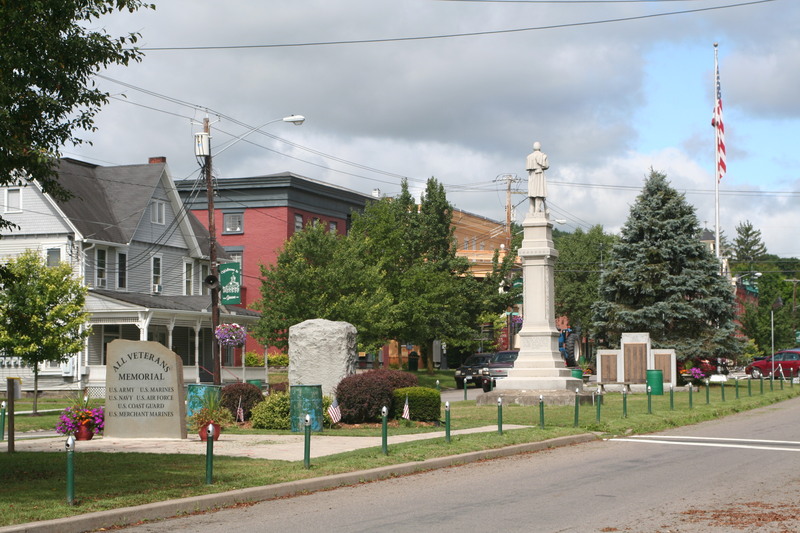 Another small town with a great memorial park to its residents who have served their country in the Nation’s wars is the town of Greene, NY. 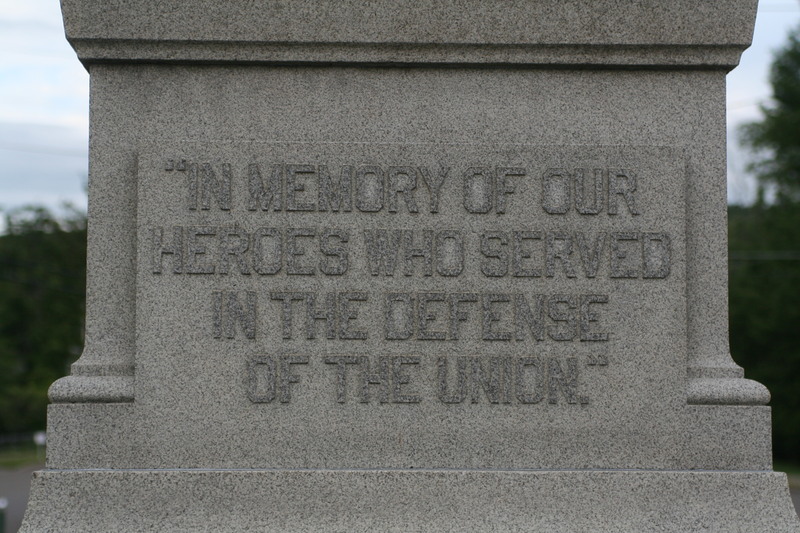 I visited this area several years ago, so while visiting family recently, I went to the center of town and took some more shots and discovered that the park’s first memorial was to the sons of Greene who had fought in the Civil War, “in defense of the Union.” What a great statement. To defend the Union. It’s certainly not a unique sentiment, but rare to hear in today’s polarized society. 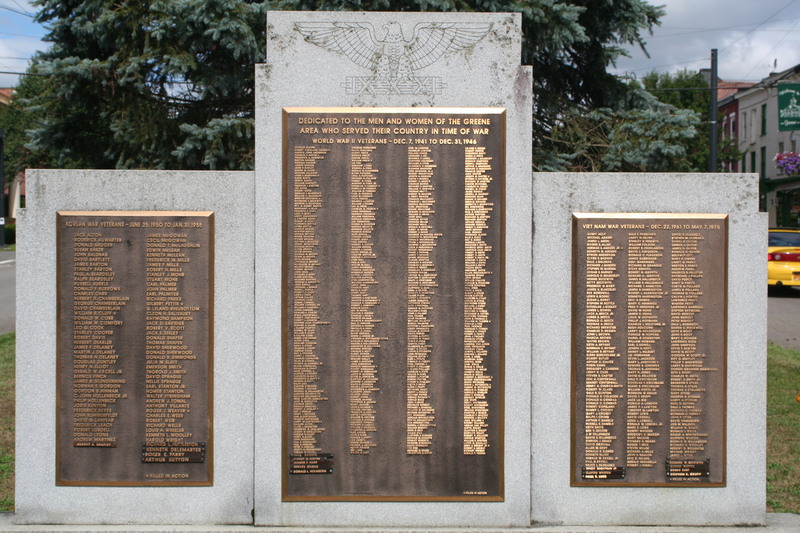 As I was compiling my notes for this memorial park, I realized that I had missed a picture that I wanted, so I took a walk down Genessee Street through the center of town to the memorial park. 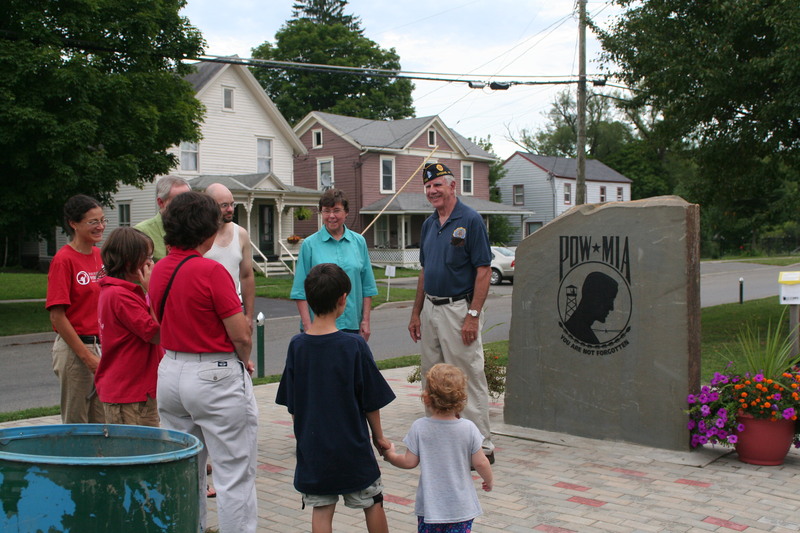 Genessee Street becomes a “boulevard” between Canal Street and “the River,” with the memorial park being placed at the east end of the “boulevard,” possibly intending to reflect an overwatch of the river area. 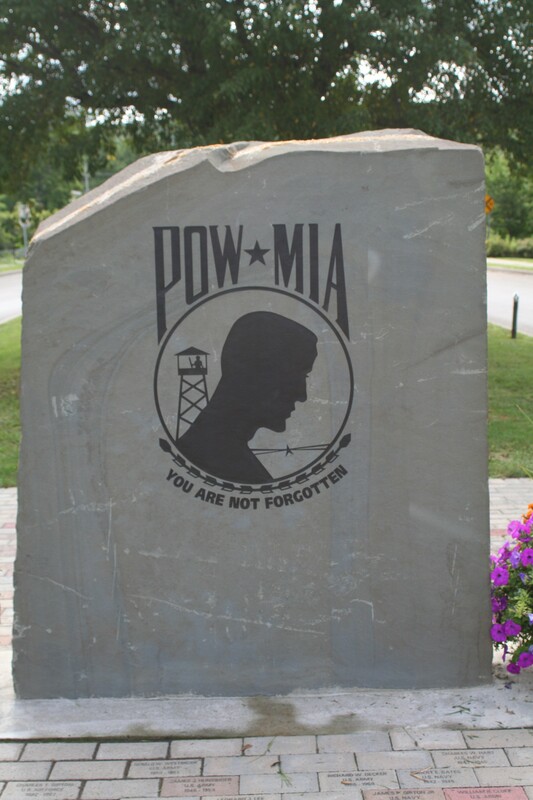 I was treated to a sight that was a pleasure to see and hear … there at the memorial, near the “POW/MIA Commemoration,” was an American Legion member explaining the memorials to a local family. Isn’t that great? How often are our children educated on the heroes who have gone before? 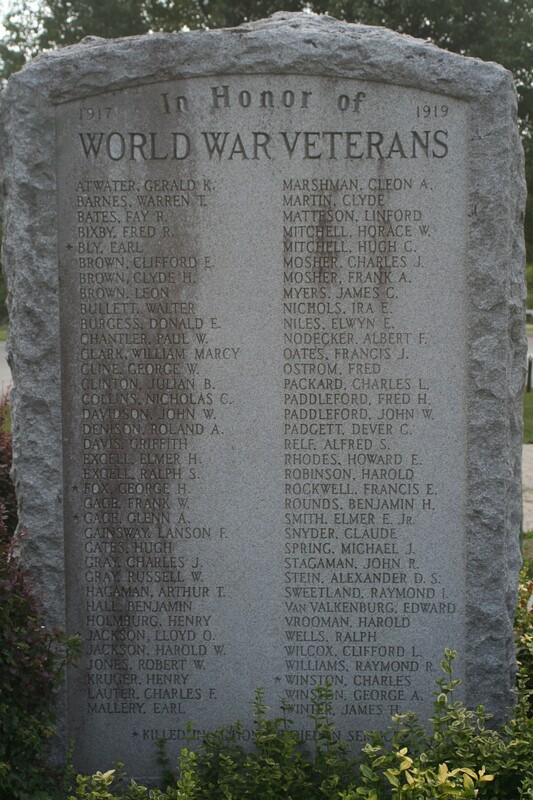 Thank You, Greene NY, for honoring your sons and remembering your heroes to another generation. 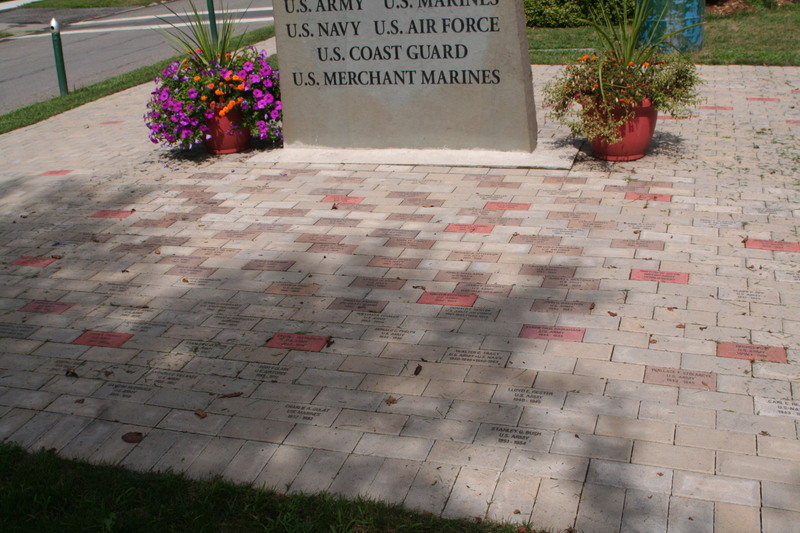 This entry was posted in General Comments and tagged heros, small town USA, Veterans. Bookmark the permalink. That is great, Duane. We do a lot of traveling and it is always good to see what is really felt about our veterans out in ‘real world America’.